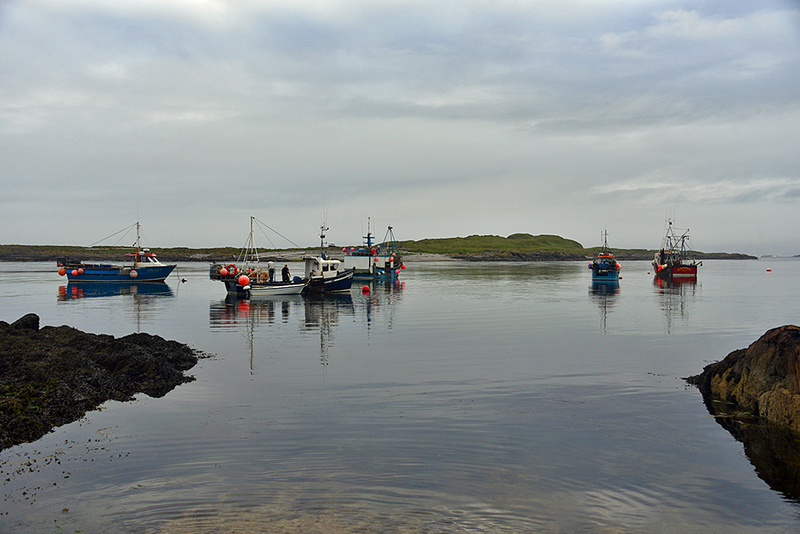 A panoramic view of Portnahaven at the southern end of the Rhinns of Islay from the hill just behind the village. Port Wemyss in the distance towards the left. Orsay with the Rhinns of Islay lighthouse in the centre. Mackenzie Island / Eilean Mhic Coinnich on the right. A breezy afternoon on the Rhinns of Islay, nice waves are rolling in from the Atlantic. 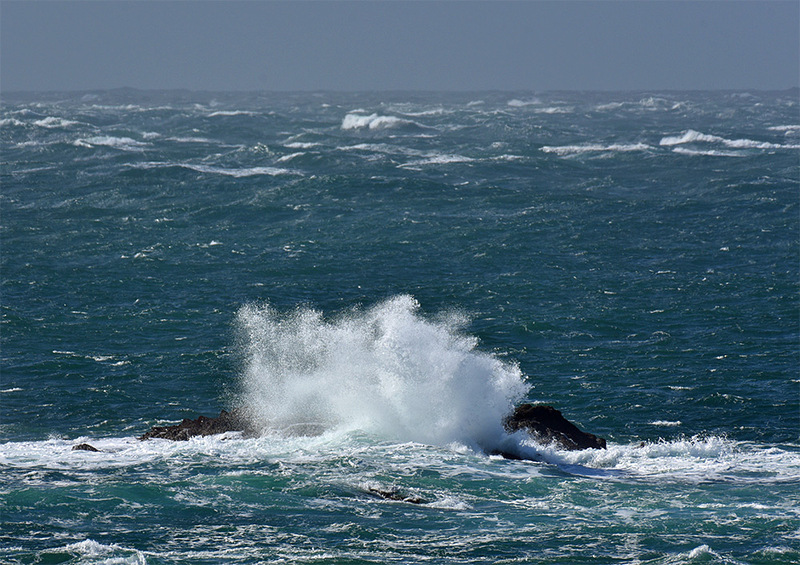 Waves are breaking over rocks off Portnahaven with a big splash.